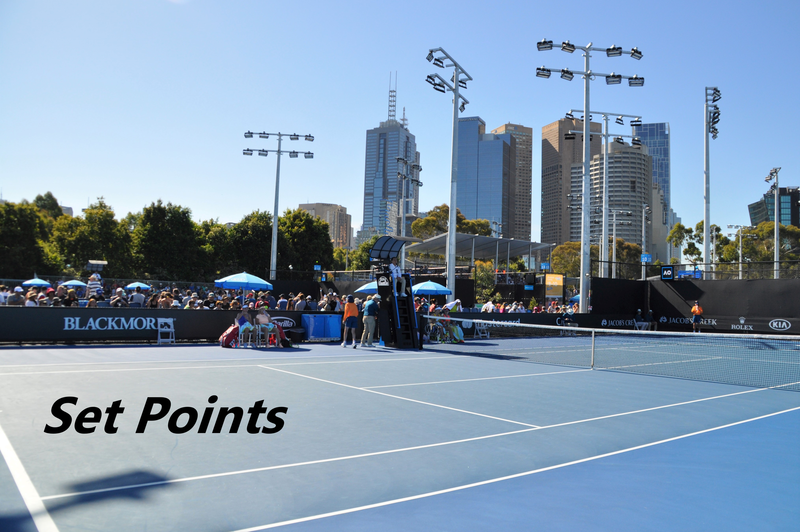 The finals of Sydney and Hobart were played on Saturday and attention now switches to the Australian Open with play set to on Monday. It’s been an exciting day for me as I have just bought a house and got the keys last night! I’m hoping to move in at the start of February so lots to sort out before then. I’m looking forward to a stress-relieving distraction in the Australian Open. I’ll definitely be more active on the blog during last year’s AO but I may disappear at times. Read on for 4 stories in Saturday’s Set Points. The WTA finals in 2019 have been lit so far 🔥. Petra Kvitova beat Ashleigh Barty in Saturday’s rollercoaster Sydney final, 1-6 7-5 7-6(3) in two hours and 19 minutes. It’s a difficult match to analyse concisely because so much happened and there were many changes in momentum. Kvitova made a very slow start and was leaking errors all over the shop in the first set. This wasn’t a huge surprise considering her late finish on Friday night and because her last three matches all took place at night. Barty was rolling along nicely, playing solid consistent tennis, as she had done for the first four matches in Sydney. It had been a rather drab match up until 3-3 in the second set when Kvitova really began to make an impression as she found her rhythm on the backhand side and started to crunch winners. The pair began to engage in rallies which were rare based on the first set and a half! Kvitova, who was playing catch-up in the scoreline, had a couple of tough holds. The hold at *4-5 felt like a pivotal one. Barty had been very solid on serve but something seemed to change at 5-5 as it seemed very apparent that Kvitova was not going away. The Czech player swept through the final few games to level up at one all. Barty and Kvitova exchanged three game streaks early on in the decider before Kvitova twice brought up opportunities to serve out the match. I thought the quality was fantastic from the middle of the second set to the middle of the third set. Things definitely got a bit tense towards the end. Barty played two poor service games at 4-4 and 5-5, while Kvitova began to look visibly tired and kept hunching over on her leg. After hitting two double faults in a row that saw the third set extend to the tiebreak, Kvitova managed to stay aggressive and mostly find the court, overwhelming Barty in the end to secure her first title of the season. It was a fantastic week for Kvitova and she’s already off to a fast start with an early title. I am concerned about recovery for Melbourne though as she’s set to play on Monday and it is supposed be a hot day. Even with this form, I sadly have my doubts that Petra can translate this form to a Slam. I would love to be proved wrong. I think Barty could be a Slam winner in the future. However, I don’t think she’s ready yet. The Aussie is definitely moving in the right direction and I would fancy her to produce her best run at a Slam in Melbourne. Not a title contender in my opinion but again, would love to be proved wrong. I have great admiration for Petra and Ash, and they are two of my favourite players so hope to see them both make at least the second week of Melbs. Over in Hobart, Sofia Kenin won her first title with a 6-3 6-0 victory in the final over Anna Karolina Schemiedlova. Kenin saved eight of nine break points and once again showcased her impressive mentality. I thought Kenin would crack the world’s top 30 in 2019. She’s already not far off doing that within the first two weeks of the new season! Definitely one to watch. I’m about to sit down with the women’s draw for the first time and make my picks. This is always one of my favourite tennis moments of the year. I try to make snappy decisions but then I start thinking and deliberating, and it generally turns into a mess. Pre-draw my top four picks are S.Williams, Kerber, Muguruza and Sabalenka. I’ll try and post some thoughts today/tomorrow! Also hoping to debut an updated Set Points post but will see how I feel come Monday. Main draw @AustralianOpen with qualifiers placed. Bottom half will play Monday, Top half on Tuesday. Having watched Muguruza matches in Perth, I can’t say I believe she’s in Slam form. In fact, I think her game is in desperate need of evaluation by her and her team, because she just looks so lost on court! She lost so much power in her shots, her forehand technique regressed dramatically (she can’t hit FHDTL) and her grunts have become so annoying. I loved her so much back in 2015 but this feeling definitely cooled down. Petra doesn’t tend to lose many finals; once she gets to this stage she generally wins, as she did today, but this one was a hard fight for her and by her own admission she was tired and cramping on the court by the end. I only hope she’ll be OK on Monday. Hopefully Kvitova can recover for the AO. These events just before a major seem to take a lot of energy out of the finalists. Interested to see how the 18y/o Andreescu does in the AO. She is 9W and 1L in her last 10 matches. A lot of the young ones seem to have very winnable openers. Vondrousova, Kenin (didn’t lose a set last week in Hobart! ), Andreescu, Sabalenka, Kuzmova all look good to start with a win. Anisimova will have to figure out Nicilescu. Yastramesca plays Stosur, which could be a good one. Yes I hope we see some Slam breakthrough runs. I think Yastremska will make the third round. I’ve got Sabalenka going deep but think Makarova R2 could be a potential banana skin. Thanks, Ziggy! I’m not high on Kvitova for the AO which i’m hoping might be a good sign haha. Andreescu is an interesting one. My bro and I compared our draws yesterday and he’s got Andreescu to the second week. I’ve got Sevastova coming through. I just really hope Svitolina gets to the semi finals. Once she breaks that barrier, she’s going to be tough to take down in these bigger events. First day pretty good for seeds! Julia Goerges the only really big upset, but then Danielle Collins is a great player on a hard court. Surprising! Same number of women’s seeds went out as men. Agreed with Goerges, a little surprised considering she was so close from the win but Collins is a tough competitor.